India's Largest Manufacturer of Window De Metallized Films* (finished product). Window metallizing means providing a window (transparency) to the fully opaque metallized film in different patterns as per the needs of the customers. These window metallizing films, demetallized films and window demetallized films are used in flexible packaging mainly for products wherein the end customer wants to have a look at the product without the pouch being opened. Now days these films are for packing of food items like rice, sugar, salt etc. We supply window metallizing films, holographic sequin films, window demetallized films, indian plastic films, window films exporters, demetallized film suppliers, window films, plastic films. We do not supply the basic raw material. 2D/3D Holograms stickers contains several optical layers that have 2D hologram images visually placed one behind another. It results into a 3D effect because of the different distances of each layer to our viewer. 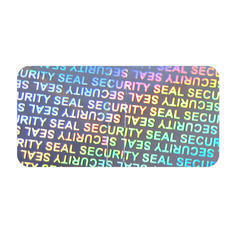 We offer a wide range of Security Holograms that are manufactured using high-end technologies. 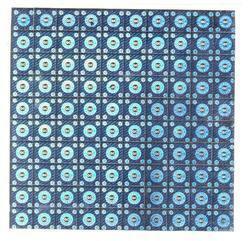 Our range includes 2D hologram, 2D/3D hologram, 3D hologram, e-beam hologram, dot matrix hologram and many more. Providing complete solutions for brand imaging and counterfeit protection, our hologram are available in different shapes, sizes, materials, thickness and other specifications. 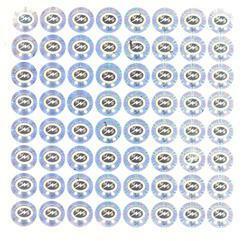 Silver Hologram Sticker contains several optical layers that have 2D hologram images visually placed one behind another. It results into a 3D effect because of the different distances of each layer to our viewer. 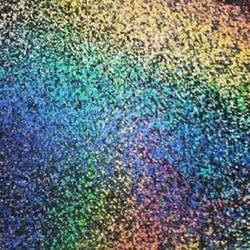 We offer brilliant range of Glitter Holographic Films that provides a metal flake look on indoor signs, displays, trims and the full range of printables from labels to massive exhibits. 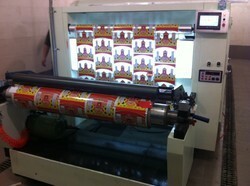 The sparkle of these films are compatible with all printing processes and inks. 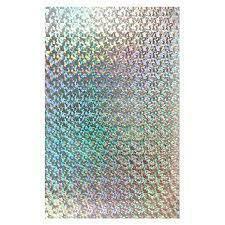 Our range of holographic films are available in bright, luminescent and iridescent colors. From highly luminescent colors to transparent and opaque colors, all our holographic films have fine tonal quality and are available in different sizes. 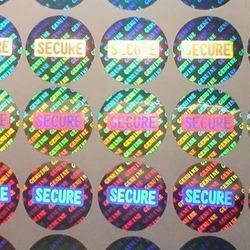 Customized Hologram Labels carries specific information such as logo, specific data, codes, names etc. This can be used to impart effective and easy marking on products. Holographic boards feature with various levels of optical security measures and supports all kind of printing processes. The holographic impressions or images are transferred on the paper board using advanced technology. With our Holographic Strip (Strip Metallized Films), user can easily put on their products and represent the originality of their products. 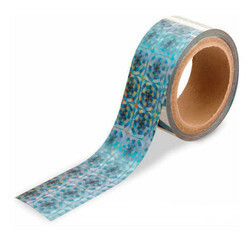 Developed immaculately, our range of Holographic Strips (Strip Metallized Films) are available in different length sizes. Kuwer Industries offers end-to-end holography solutions to the companies for brand imaging and counterfeit prevention. The product portfolio includes security holograms, holographic films, flexible packaging material, coated lacquered films and much more. From a humble beginning in the year 1994, Kuwer Industries has grown to become one of the leading manufacturers a wide range of holographic products. By virtue of the untiring efforts towards customer service and products quality, the company has been bestowed with the goodwill of a vast global clientele. Kuwer Industries provides tailor-made solutions to its customers as they have varied anti-counterfeit marking requirements. The company works hand in hand with the clients to ensure speedy implementation of the customized solutions - right from concept to marketplace application. Committed to meet the tomorrow's requirements, Kuwer Industries invests a handsome amount of its turnover on advanced R&D for new products development. Kuwer Industries has with it the services of best professional designers, who are conversant in developing innovative designs.At Kuwer Industries, the manufacturing site conforms to the stringent security standards that ensure the highly secure environment for the production of anti-counterfeit products.